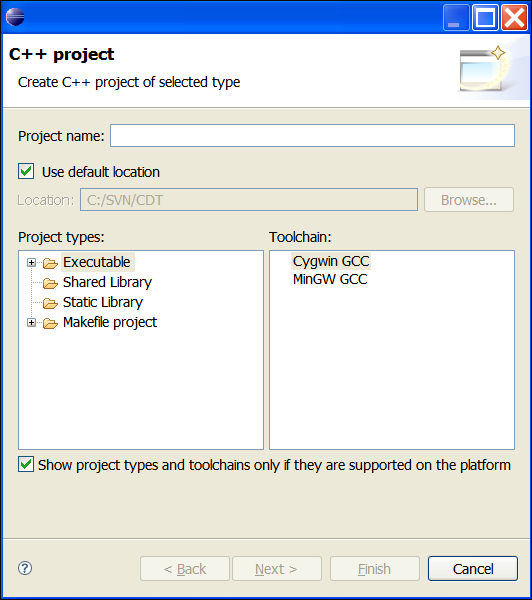 You can create a standard make or managed make C or C++ project. 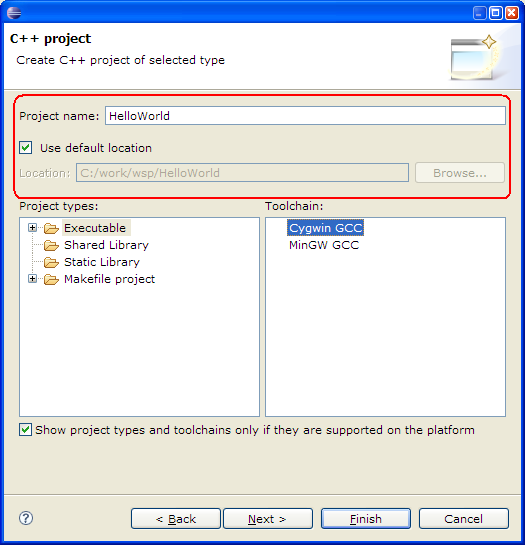 In the New Project wizard, open C or C++ folder and select corresponding project. To specify a different directory in which to save your project, clear the Use Default Location check box, and enter the path in the Location box. 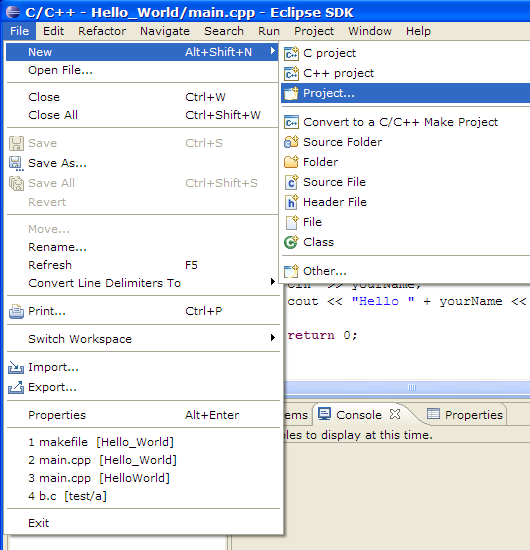 Select Project type on the left pane. For more information, see Selecting a project type. Select one or more toolchains from the list on the right pane. You can change build configurations list for the project. To do it, press Next. But usually you need not to do it. To create your project, click Finish. If a message box prompts you to switch perspectives, click Yes. Define your project properties. For more information, see Defining project properties.